Ed Tech/Web 2.0 Tools for Educators and Students: Learn Math and English Language concepts using Learnzillion. Learn Math and English Language concepts using Learnzillion. I found this great site today called Learnzillion. They have done a great job creating animated video tutorials in the subjects of Math and English from grades two to twelve. They only have about 2000 videos now, but the potential with what they are trying to achieve is huge. If Learnzillion continues creating easy and comprehensive videos for teachers and students to use in the classroom, then they will become a great resource for those students who are struggling with math and English. In fact they are recruiting 200 more teachers this summer to create videos for more of the Common Core standards. 1. Go to www.learnzillion.com and create an account; its free. 2. At the top you will see the different tabs that can go to. You can just go out and explore the different lessons or you can find them by the Common Core standard. You can even create a list of favorites. 3. Click on the "Classes" tab if you want to create a class and enroll students. The advantage of creating a class and adding students is that your students can get an Enrollment Code which will give them easy access to the sites content. 4. If you click on the "Explore lessons" tab you can go straight to the videos themselves. 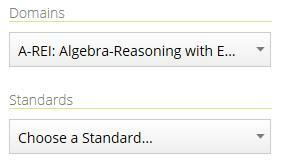 Decide whether to view Math or ELA content by clicking on the respective tabs. 5. Now choose the grade level that you are teaching so that your movie selections are narrowed down a little bit. 6. The drop down box under "Domains" will give you the different sections of the subject that are available. Remember that after this summer they should have quite a few more completed. To actually go straight to a Common Core standard just select the "Choose a standard" drop down box. 7. Off to the right you should see videos that related to the grade level, domain, and standard. Just click on the "Core Lesson" box and this will take you to the actual lesson that contains the video. 8. Dead center is your video. Just click on it to get it to play. NOTE: I tried to use Google Chrome first and the video wouldn't play. Using Internet Explorer worked best for the entire site. Now off to the right you can actually download the slides that teach the lesson for some offline viewing. The Coach's commentary will let you watch a short video as to how the lesson presenter goes about teaching the specific lesson. 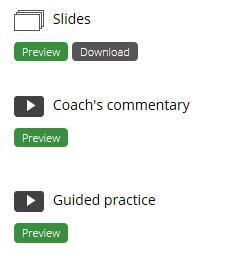 The Guided practice section is awesome, because it contains a video with multiple examples of the lesson. 9. Off to the left of the main lesson video you can see the related videos that contain more content about this particular lesson and standard. You have posted a valuable information about Learnzillion. You can also try to view about Singapore math tutorials, this also helps child increase it's mental ability and comprehension in dealing with math problems.